Journalist Mai Menassa’s pen dealt swiftly with daily news, cultural criticism, fashion reviews and her book-writing ambitions for more than half a century. And today, social networking pages and Lebanese news websites are flooded by a wave of sadness because of the loss of Menassa, who died last night at the age of 80. Menassa’s book 'I Killed My Mother in Order to Live' made the longlist for the 2019 International Prize for Arabic Fiction novel, last week. That is a literary prize managed in association with the Booker Prize Foundation in London and supported by department of culture and tourism - Abu Dhabi. In 2008, one of Menassa’s novels in Arabic, 'I Hunt Dust And I Walk', was on the final list nominated by Booker Prize. Menassa was born in Beirut in 1939 and held a postgraduate diploma in French literature. She began her career as a broadcast journalist in 1959. She was the first woman broadcaster in the early days of Lebanese television and presenter of the “Women of Today”, dedicated to women and activism, a rarely dealt with topic at that time. 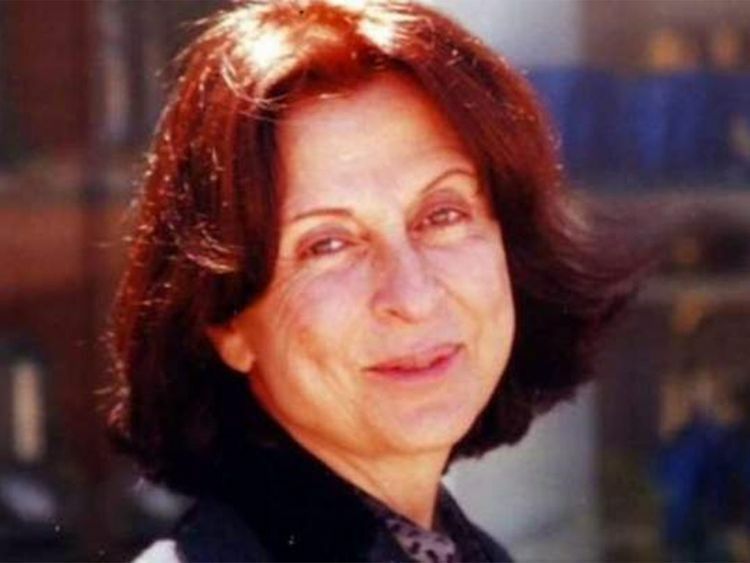 She worked as a literary, theatre and music critic for the Lebanese newspaper An Nahar since 1969. She also went on to publish 10 novels, including two French children’s books, and later seven Arabic fiction novels. She was well-known for her distinct low tone of voice, short hair and petite build, and her “courage and creativity”. One Twitter user paid homage to her strengths. Another user said that he was always impressed by her and she was his inspiration to learn Arabic. “May was one of the reasons that got me into learning Arabic may she rest in peace,” wrote the user. Menassa’s articles were often termed ‘pink’ as they were full of humour and positivity, but there was nothing frivolous about her. In her books, she addressed various topics, from drama to faith (she was a believer), to war, misery, and human suffering. Her books include titles such as ’Fragments of a prisoner's diary’ to ‘Hourglass’, ‘Walking in the dust’ and ‘When dawn tears his shirt’.